1.59 acres on Hwy. 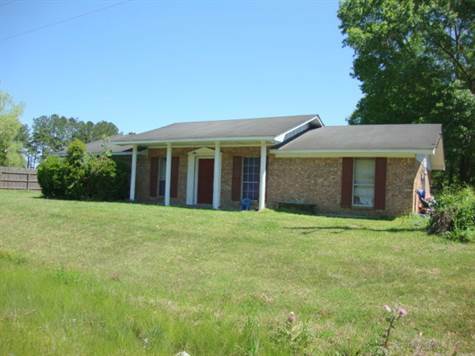 96 South of Kirbyville with 3 bedroom 2 bath brick home with brick fireplace in den. next door to Carpenters Repair Shop about 3 miles from Kirbyville city limits. Has double carport and storage building. Never flooded. Sold as is. Home needs updating.